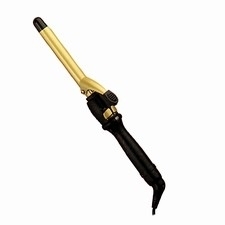 Ceramic Tools ceramic curling iron, 1 &amp 1/4&quot. 135 watts, 25 heat settings, professional 9 power cord with 360 degree swivel, automatic dual voltage for worldwide use. Variable temperature up to 400 degrees. 2 year limited warranty.